On this webpage I have put various other project finance models of different facilities. These are various project finance models that I have created over the years. The model below is a model of a wood processing facility. The model includes different milestones for different equipment, detailed capital expenditure with alternative possible configurations, set-up of detailed projections of salaries and other factors. The model was re-structured from a mess where sheets were mixed up. I hope it demonstrates how to use a lot of detailed analysis. Some of the features of the model are illustrated by various screenshots below. 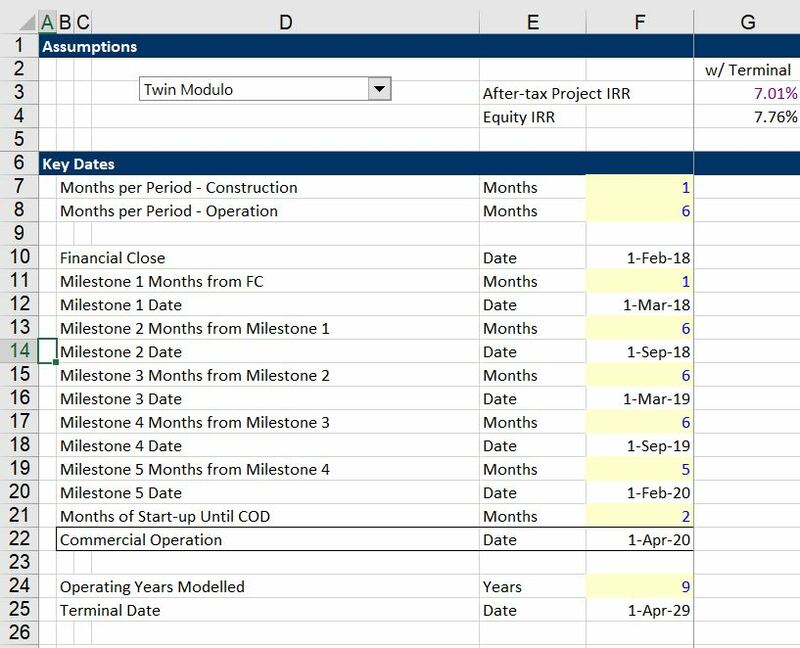 The first screenshot demonstrates how you can make detailed time line assumptions for alternative portions of capital expenditures. Some of the assumptions are shown in the screenshot below. Note that the assumptions can be set-up with different years. As with other models, you can add sensitivity analysis to the models. The next screenshot illustrates operations analysis in the model. You can see detailed time periods with downtime, capacity and production. The screenshot below illustrates how you may set-up a layout for staff assumptions. 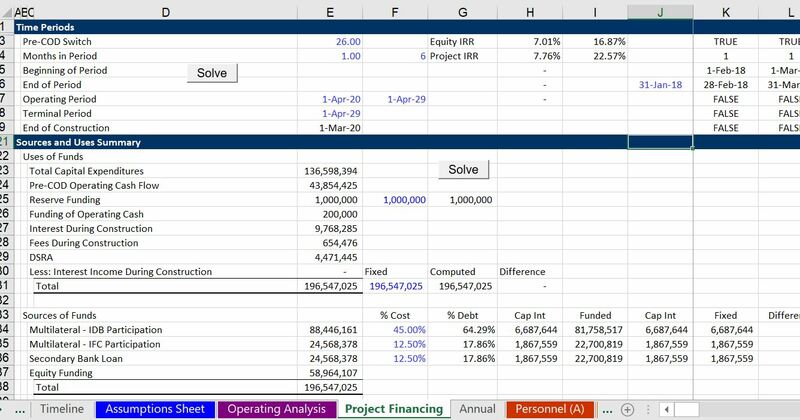 The screenshot below demonstrates project financing sections of the model. The screenshot shows the how a bad copy and paste macro can be used to resolve circularity associated with interest during construction and fees. The screenshot below shows how you can set-up different configurations of equipment using the INDEX function.